In the days of July like fire in Hanoi. So why don't go to the sea, to enjoy a paradise: listen to the whisper of the waves, play in the cool water or let the wind blow gently, must be a great things. Follow Origin Vietnam to La Ha Bay. The untouched area if compare with Halong bay or Bai Tu Long Bay. It can be said that the beaches in Lan Ha is quite wild. The limestone mountains divide the sea into the quiet bay, the blue water, the place to enjoy the fun in the cool water. There are small sandy beaches scattered at the foot of the island. In the heart of Lan Ha Bay. Come here, visitors will enjoy one of the great feeling of summer: lying on the white sand beach, under the blue ocean coast, enjoy the cool breeze. Most of these sandy beaches are located between the rocks. Under the blue water is colorful coral reefs from the island of Sen to Cu Island and Monkey Island. This is an ideal place for those who like to collect beautiful pictures of nature under water. One of the activities that tourists can not miss on the sea trip to Lan Ha Bay is the Kayak Kayaking itself through the mountains with unique shape. Hundreds of mountains in Lan Ha Bay for tourists to imagine hundreds of interesting ideas: some places like a clog, sometimes like a bat sometimes look like a turtle. 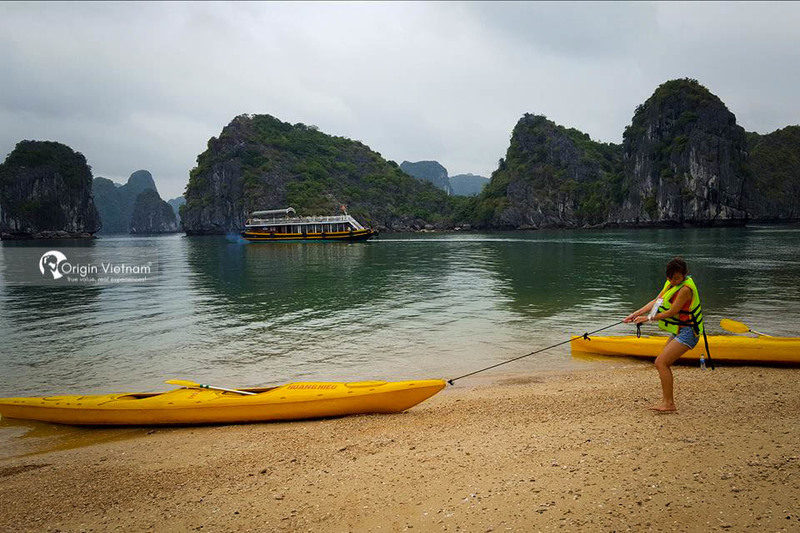 Choosing kayaks to discover Lan Ha Bay will bring new experiences that cruise ships can not have. 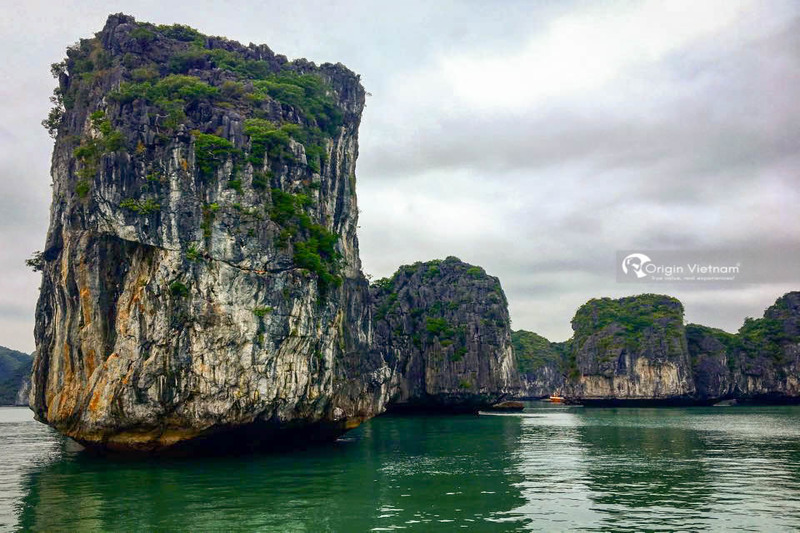 Going through the islands and small caves, the kayak takes you to the foot of the rocky mountains, firsthand the view of the colorful landscape of the sea under the blue water, sparkling sun. 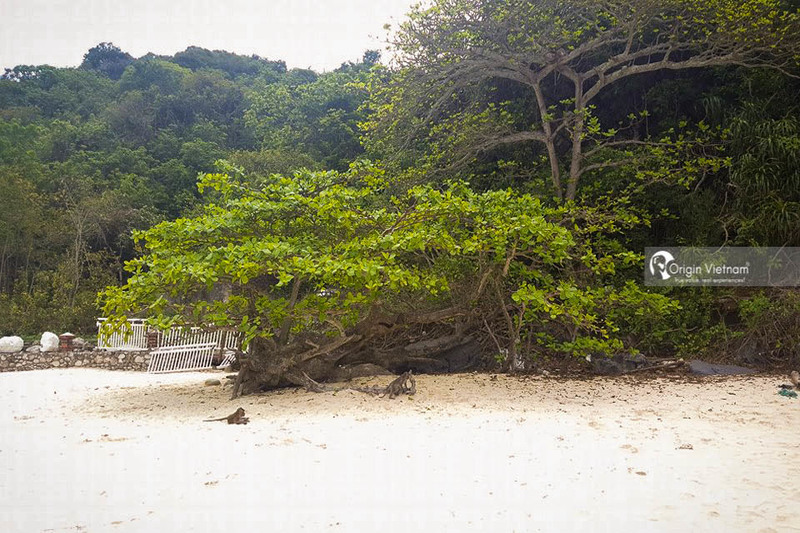 At Pineapple Island in Lan Ha Bay, visitors also experience other interesting activities. At present called Monkey Island. The reason is that on the island. There are more than 20 monkeys by ranger Cat Ba National Park drop here. They often go down the beach to play with tourists, eat the food by visitors like bananas, apples, tangerines, candy ... fun monkeys playing, climbing makes the impression to those who have been here. Having been bathed in the sea to play with the monkeys would be a memorable trip for a sea trip to Lan Ha Bay. Not only that, visitors can also visit the pearl breeding site. Visitors are witnessing the process of making sparkling jewels, more to learn about a growing profession here. Sea-lovers are indispensable to enjoy the fresh seafood specialties. 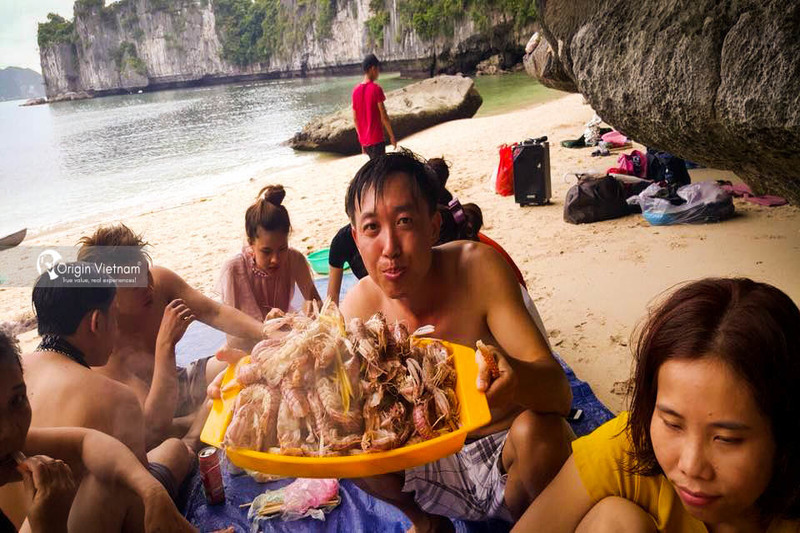 Under the peaceful island cliffs, there are many kinds of local specialties such as cobia, fried fish, abalone, grouper ... The tourists can enjoy the delicious dishes as required by self. As a peaceful bay. Lan Ha Bay has about 400 islands with large blue water in the deep reflecting light blue clouds. This will be an attractive place in the summer travel itinerary. Get back to the sea, with unmatched comfort. Are you ready to go Lan Ha Bay for an intriguing sea voyage?. This is all things you will need to know before travel to Lan Ha Bay here.